The clock is ticking on the federal rule that requires all truck drivers to automatically record hours of service (HOS) and related driving data through an electronic logging device (ELD). Slated to take full effect on December 20, 2017, the ELD Mandate (also known as the e-log mandate) has left many shippers with questions about how the rule will affect truck capacity, rates, and service levels they’re accustomed to. Why Are Some Truck Drivers Concerned? 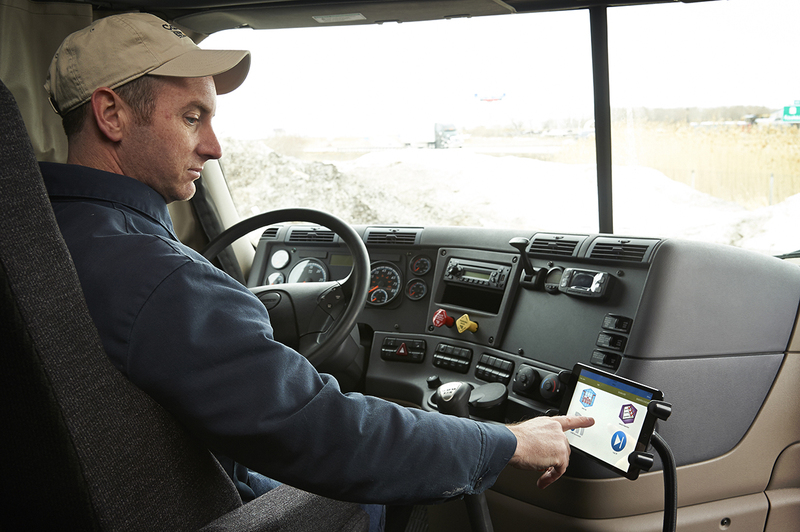 Though many large and medium-sized carriers have already begun using ELDs with positive results, some small fleet owner/operators are holding out and questioning the benefits of the mandate. Objections stem largely from inflexibility, costs, and privacy issues—not to mention the learning curve that comes with new technology. Drivers are also worried about the impact this will have on their pay, as strict enforcement of the 55-hour-per-week legal limit puts constraints on their earning potential. Additional concerns come from having to manage shipper expectations on expedited transits. It’s not uncommon for drivers to go beyond their HOS limit today to meet shipper demand, and having to fit loading, unloading, and scheduling duties into such a tight timeframe will be challenging for some. Fortunately, inexpensive aftermarket options are quickly becoming available, as more competition among ELD manufacturers are driving costs down. These new models are also easier to use than legacy ELDs that have been on the market for years. Additionally, the Federal Motor Carrier Safety Administration (FMCSA) says it will allow ELD smartphone applications to comply, which could bring down costs even further for carriers. Could ELDs Make Carriers Less Efficient? As data slowly replaces speculation, productivity gains should ease driver fears. It is true that some fleets with ELDs currently in place have seen a reduction in capacity and weekly miles per truck, some as much as 5 percent. In the past, it hasn’t been uncommon for drivers to exceed legal HOS limits in order to meet shipper demand. Because e-logs will eliminate this type of hours-flexibility, drivers fear that added pressures will lead to aggressive driving such as speeding, passing, and tailgating to make up more time. But efficiencies will come. In fact, drivers who have already adopted e-logs often report satisfaction with short-term increases in productivity from fewer human errors and less paperwork. More significantly, ELDs allow for more real-time data on trucks and loads, which in the long run, will lead to better asset utilization and more available capacity. Over time, shippers should see savings as a result of better load visibility, planning, dispatching, and more. In addition, the ELD mandate could come as a blessing in disguise to some shippers who are dealing with high pressure deliveries into their customers today. Because compliance with the mandate will standardize how transits are executed, shippers and their customers may be more on the same page when it comes to realistic expectations. Vetting shipper lanes for ELD vulnerability and understanding whether typical lengths of hauls are still possible under full compliance. Helping ease concerns of smaller/independent carriers by arming them with important information and tangible solutions (e.g. less expensive options available). In preparation for the e-log mandate, we are proactively enforcing the use of ELDs through our carrier compliance process. We expect to have 75% of our fleet using ELDs by the end of this summer, and full compliance well before the mandate takes effect in 2017.